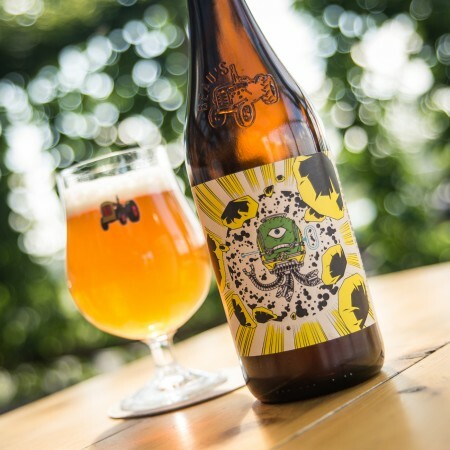 VANKLEEK HILL, ON – Beau’s All Natural Brewing has announced details for the latest in its monthly series of collaborative beers being released as part of the brewery’s partnership with Ottawa 2017. The pair chose to dry-hop the beer extensively, and to work with Azzaca and Wai-iti hops to evoke a bright, tropical hop character. Drinkability was also a shared concept for EPH Bomb, even with it being an intense offering. EPH Bomb pours hazy gold with a billowy white foam. The aroma offers pungent grapefruit pith, pine and papaya. The flavour is initially fruity, balanced by moderate bitterness. The finish is long and resinous. Unlike previous beers in the series that have been available primarily in Ontario, the majority of EPH Bomb has been shipped to Nova Scotia, where it will available in NSLC stores while supplies last. It will also be featured at a Beau’s tap takeover event at Stillwell in Halifax on August 10th, and at the Beau’s booth at the Seaport Beerfest on August 11th and 12th, and a limited number of kegs will be on tap at Unfiltered’s Charm School Pub and other craft beer bars in the province. In Ontario, 150 bottles went on sale yesterday (July 27th) at the Beau’s retail store. As with all beers in the Beau’s Ottawa 2017 series, a portion of sales will be donated to a charity, with the recipient in this case being the Parker Street Food & Furniture Bank in Halifax.